The KwaNdengezi Main Hall is the main Municipal community space in KwaNdengezi. It hosts concerts by local musicians and is a place to vote during elections. There is a small play ground and green space for recreation. A large commuity vegetable garden grows sweet potatos, eggplant, mealies and more. 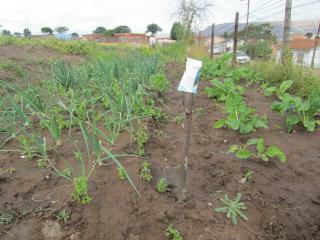 It is possible to purchase vegetables grown in this garden, just ask one of the gardeners. Banana trees on site are harvested by community members.